Six days into February and I am still in January mode, trying to kick myself out of the seasonal blahs that seem to hit every winter. I have been slowly anticipating spring thinking ahead and dreaming of sunny days. 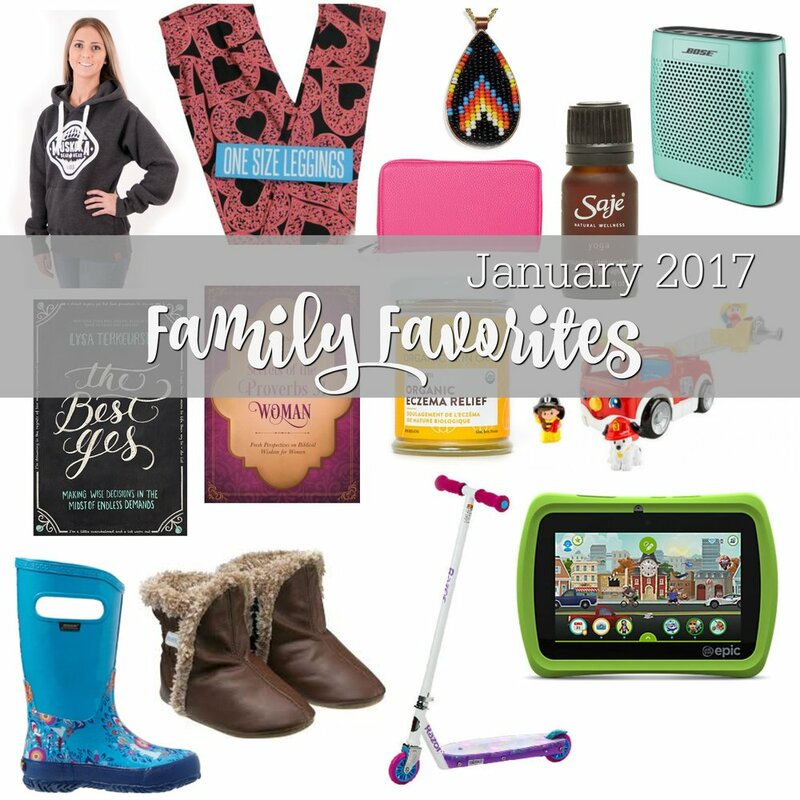 I enjoyed sharing Family Favourites twice last year and today I was in the mood to share. This is probably more a “fall/winter wrap up” but we will go with January for now. 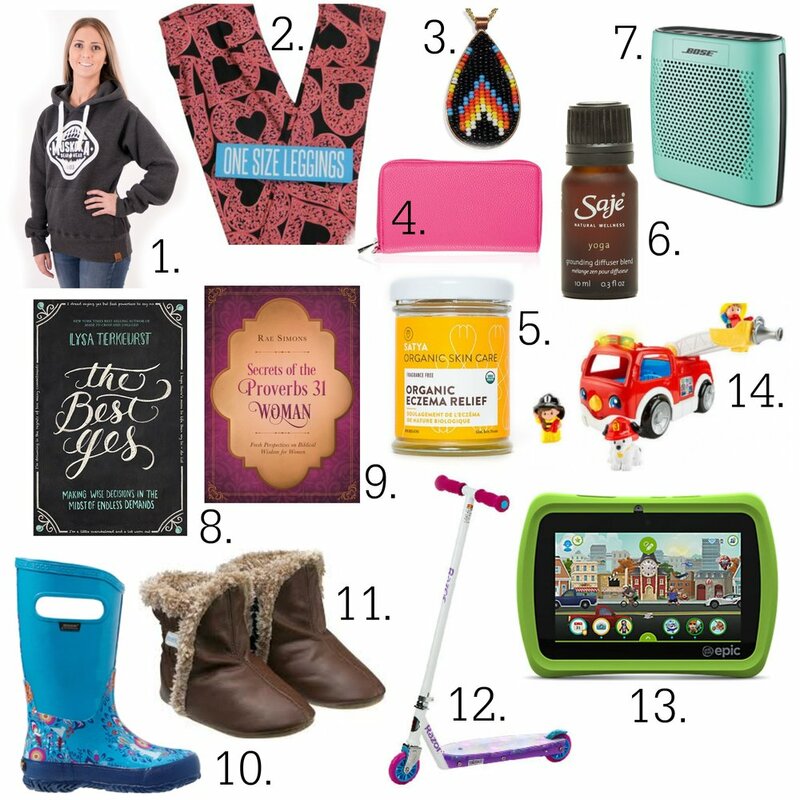 Winter boots, home scents, and comfy clothes are among this month’s most loved items! This was a birthday present from Joel that he gave to me on our weekend away at Trott Cottage. I have wanted one for awhile and escaping to a Muskoka cottage it seemed a must do. It has become an essential staple to throw on picking the girls up from dance or watching TV with Joel. It’s totally a glorified sweatshirt, but in Muskoka a cool must have. I am not a legging lover, or at least I wasn’t. Then I ordered a few LuLaRoe leggings from my friend Jennifer Jordan. These leggings rock – so comfortable. Another friend Vanessa Badolato, who also sells LuLaRoe sent us a few for the kids (yes even Josh wears and loves), these leggings are always the first grab from the drawer. The girls love to wear them on ski days at school as an extra layer for warmth. I love the comfy feel but easy pulled together look. This has been my staple piece of jewelry for the past year. I ordered a few online as Christmas gifts last year. 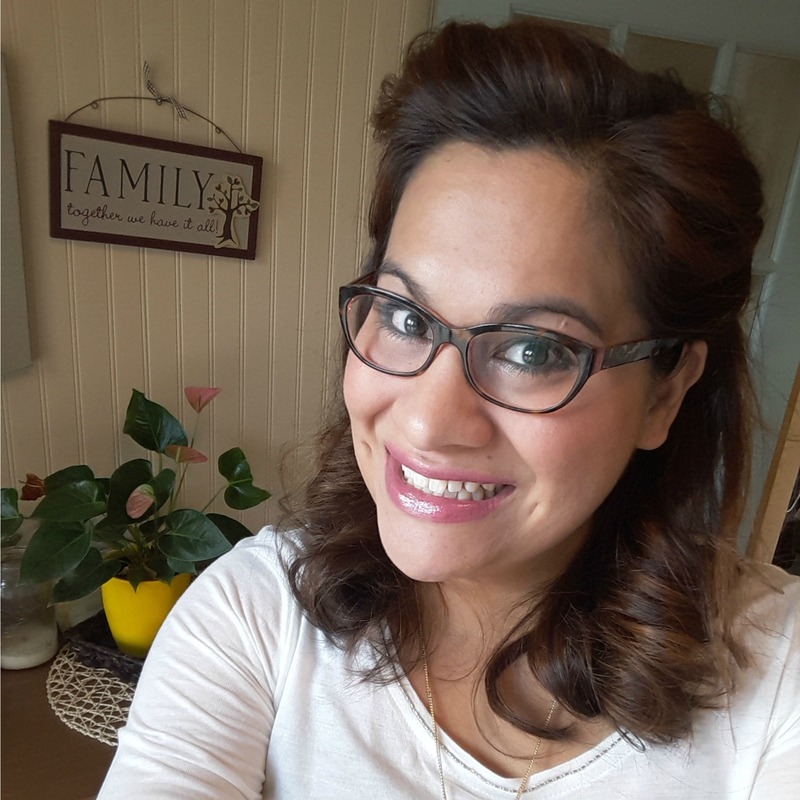 Sunshine Quem Tenasco is the founder of Her Braids and is Anishinabe from Kitigan Zibi Anishinabeg, Quebec. Kitigan Zibi has gone without clean drinking water for a total of 15 years. I have been using this wallet since last fall. I like the size and the fact that I can tuck my phone inside if need be. It holds *all* our health cards, change/cash, cheque book, and whatever else I may need on the go. It has definitely become a favourite of mine. I am in love with a new blue colour that just came out… I currently have it in light brown shade, classic goes with everything. Joel heard about this cream on the radio, made by a Canadian (Ojibway) mom. I am not sure if she was on Dragon’s Den or something, but he asked me to order some for Hannah. We have been using it on her eczema (random spots all over her body) and liking the results. I have also been using it on my own dry skin due to winter air and like the way it protects and heals. This was a gift from my Aunt and Uncle for my birthday, I love this scent! Patcholi, Orange, and Neroli (an oil from India that brings out the inner “one with earth” girl in me) blended for grounding, peace, love, and bliss. We have been using this little speaker as our main sound source in our small house. I hooked the TV up to it for a movie last year and the difference in sound (vs the TV itself) was so big that we have left it since. We hook our phones up for music or videos, and more recently Violet’s tablet as well. It throws great sound for a small speaker. A friend recently told me about this book, so I read the description on the chapter’s website then instantly ordered it. I read in within a few days – if not for life getting in the way, I would have finished in one go. I may do a proper book review in the near future so I will leave it as a must read. I have been using this book in my daily quiet time I read a few of the quick devotionals to help quiet my mind and draw my heart closer to personal time with God. Each day seems to fit with where I am at or what I am needing. It really seems to be fitting well with me and helping me stay focused to achieving the vision I set out for 2017. Hands down the best winter boot we have found for the kids, I will not get another brand. The first few years of Annaliese in boots we tried various styles and brands, but boots would come home from school soaking wet with little to no time to get them dry before the next day. Bogs stay dry, don’t have a liner and most importantly keep their feet warm. I find the key to winter survival is warm feet – we usually go cheaper on the snow suits and splurge for solid boots. I didn’t want to get the boys boots this year, as their feet tend to grow so quickly at this age. I also like to leave them bare foot as much as possibly when toddling around. These little boots make it possible to stay warm and have full foot stability. I am really happy we got both Sam and Ben a pair for this year. This scooter was Violet’s birthday gift from Joel and I. We said no to both girls when they asked for them for Christmas, but while shopping in December we decided to get Violet one for her birthday. She doesn’t have much room inside the house, but she (and everyone else) still zips all around. They love it! This was Violet’s Christmas gift. She has been busy playing the games, practicing letters and sight words. Josh and Hannah like using it as well during the day when the girls are at school. It came filled with trial games, and we let her purchase one full game. But really she was having fun with it straight out of the box. They also use it to find songs and various videos to dance to. Sam and Ben were gifted a few various play sets (camper, fire truck, air plane, and helicopter) for their birthday this past month. They are totally into loading up various little people and driving the vehicles around. I find the other kids enjoy playing with them as well, which makes for great interaction between all the siblings. There is my January (or winter) round up. A few stand by favourites and a couple new trials that turned into instant favs. I would love to hear if you use any of these products too, or maybe you will look into a new one from my list! I am getting ready to settle in for the winter storm heading our way this week, hoping you are enjoying February so far – I am holding out until at least the end of this week before I say yes or no to February!